The New York Department of Public Service will conduct an analysis of the changing market conditions that led to Consolidated Edison Company of New York Inc.’s decision to stop enrolling new gas customers, according to a Jan. 28 press release. The study will focus on Westchester County and other areas facing supply and demand issues, analyzing market changes, capacity of gas infrastructure and alternatives, and their role in supporting the shift to a clean energy economy. The report will explore the options available for utilities to respond to changes and develop recommendations to ensure that utilities are able to meet customer needs in a manner consistent with the state’s energy goals. Con Edison announced a temporary moratorium of service beginning March 15 to new firm gas customers that will increase winter peak demand due to supply constraints. The New York State Energy Research and Development Authority will prioritize programs and clean energy solutions that can help consumers lower their energy consumption. Con Edison said it is developing additional programs, including for geothermal heating and air source heat pump programs, and renewable gas supplies and local gas storage. The company said that existing customers can participate in its gas energy efficiency program and gas demand response pilot to manage energy costs and lower their usage and peak demand contribution. 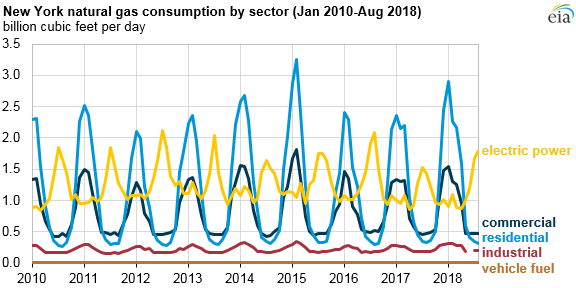 Last August, regulators approved Con Edison to implement a three-year, $5 million demand reduction pilot aimed explore innovative solutions to reduce gas consumption on peak days. The program complements the company’s natural gas efficiency program, which was launched last July, as part of the utility’s Smart Solutions strategy that aims to reduce gas usage and procure alternative resources to address a projected growing shortfall of peak gas day pipeline capacity. The “Enhanced Gas EE” program is expected to double the company’s energy efficiency goals for the three years starting 2018, alleviating peak day demand while contributing to the state’s climate goals. The utility said that weather-adjusted peak day demand in its service area grew by more than 30 percent over the six-year period starting 2011, and is expected to grow by another 20 percent over the next 20 years. The department will hold public hearings in Westchester County starting in the week of Feb. 11 to gather stakeholder input. The department staff will file the report by July 1 with the Public Service Commission and State Energy Planning Board, which will assess policies, programs, and regulations to ensure reliable energy supply while supporting economic development, alongside the clean energy transition.